In the face of falling CPMs and the rising use of ad-blockers, anyone running websites that rely on display advertising might well be feeling under attack of late. A report published in the Financial Times last month suggests that content producers might be about to face a whole new offensive on their revenues in the form of ISP level ad-blocking. The FT report (paywalled) detailed the work of an Israeli start-up called Shine who are working with a number of mobile data carriers to implement network wide ad blocking. An executive at a European carrier was quoted in the FT article confirming that it, and several of its peers, are planning to start blocking adverts before the end of 2015. One of these carriers is said to have 40m subscribers, meaning that this could have significant impact. 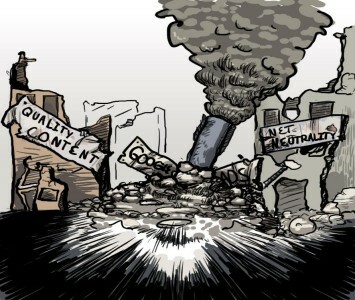 Exactly what will happen when the switch is thrown is not yet in the public domain. We know that the technology targets display ads through large networks, such as Google, Yahoo and AOL. In-stream advertising, like that seen on Facebook and Twitter, apparently remains unaffected. The technology has its roots in anti-virus software and can apparently block all forms of advertising including in-app, in video and of course display. At its most benign the technology could simply be used to offer subscribers an easy to implement ad blocker. At the other end of the scale Shine talk about an option they call “The Bomb” where the Carrier could block all ads by default. Introducing such a block on a permanent basis could be legally challenging, but the FT quote the Mobile Carrier Executive as saying that Google ads could be blocked “for an hour a day to bring the company to the negotiating table”. No surprise then that others have already labelled this plan as blackmail and made comparisons to mob extortion rackets. Why do mobile carriers care? Mobile carriers get paid when their networks are used by their subscribers, so why do they care whether that use includes advertising? There might indeed be benefits to subscribers in being able to block ads, but it would appear that the motivation is less lofty and simply boils down to profit. Central to Shine’s offering is its claim to be able to value the advertising being served to their Carrier’s subscribers. Mr. Porat, CEO of Shine, was quoted in a WSJ article (paywalled) as saying “You should see the faces of the CEOs seeing these reports on how much of their traffic is used by ad tech. They say, ‘No, this is not a real number, it can’t be.’ And then they say, ‘What can I do with that?’”. If any Carriers choose to drop Shine’s bomb it is unlikely to be motivated by improving user experience. The problem with bombs is that they can cause collateral damage. Around a quarter of Google’s annual ad revenue comes from its publisher network; websites that display Google ads as a revenue source. When Google Ads get blocked then the sites that rely on them get hit too. If the experience with in-browser ad blockers is anything to go by, even private negotiated ads that are served by Google’s DFP ad-server and earn Google nothing could get hit. While many might find it hard to sympathise with Google losing some of its ad revenue, they might be more concerned when the websites they use start disappearing. 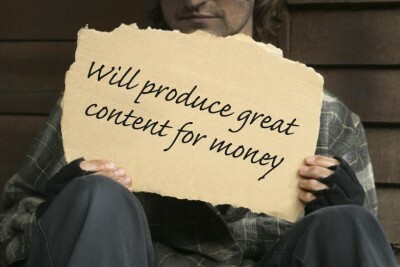 Users seeing advertising is what funds the production of the content those users want to see. Small independent publishers tend to be the ones that get hit the hardest as they generally have less diverse revenue streams and fewer viable alternative steams open to them. The other problem with bombs is that having one makes other people want one. If mobile carriers are successful in forcing Google to hand-over revenue why not other ISPs? If they weren’t successful then the same technology could be used to change Google ads to the Carrier’s own advertising, ensuring that they still get the ad revenue. Whilst that last option might sound far-fetched, it wouldn’t be the first time an ISP has employed it. At first glance this seems like a logical progression from in-browser ad blockers. Millions of users already choose to block display advertising, so why not just have ISPs block them for us? 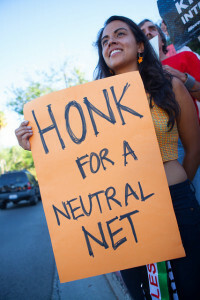 When ISPs start selecting which content to deliver to their users it brings up the issue of net neutrality – the principal that providers should provide equal access to the internet without prejudicing particular content. 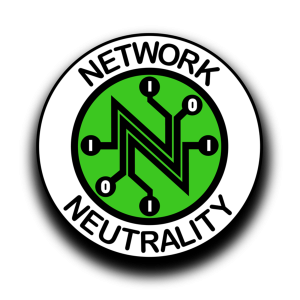 In the US the principal of net neutrality is protected by law and such a move would likely be illegal. In Europe the rules are less clear-cut with most member states offering no legally protected right to access a free and open internet. With net neutrality already under threat in the EU, any precedent of ISPs choosing what their users get to access is a worrying one for its supporters. It is hard to tell how viable a threat this is. The FT report has certainly given great exposure to a young start-up and the only named source is within the firm itself. However the firm have significant backing and, on a legal front seem confident that their technology can be deployed in Europe. Customer reaction is likely to be a serious consideration for any operator considering the service. Net Neutrality is a big issue and it is hard to see how some of the scenarios being proposed wouldn’t breach those principals. Net Neutrality doesn’t have the same public support in Europe as it does in the US though. Combined with the anti-Google stance of the European courts that is likely to give Shine further confidence. Any mobile carrier considering blocking ads must be giving thought to potential retaliation from those who rely on ads for their revenue. If publishers started blocking users of networks that employ the technology, subscribers would likely start complaining and switching networks if access to their favourite websites and apps wasn’t restored. Whether the thread from Shine materialises or not, similar threats are going to appear and impact publisher ad revenue. Smart publishers will be looking for ways to secure and protect their revenue as new challenges continue to emerge. Mat has been building, managing and marketing websites since 1996 and now heads up the team at OKO Digital. Mat has solid experience across a range of digital skills, but is increasingly focused on his specialist area of website monetisation. #SEOktoberfest Charity BBQ 2015 – Last Chance to Bid! This is crazy. My plan …. if only a limited number of ISPs block ads, I shall block those people from reading my content, with a note saying “donate or change ISP”. I will need somebody to code it though… WordPress plugin? I think that a lot of publishers would consider that approach. Likewise, if the participating ISP becomes public (which it almost certainly would) I am sure some publishers would switch to alternate ads which could possibly be more aggressive. This would be trivial to implement. OKO would certainly have a solution in place. We might make that free to the public. I will need somebody to code it though… WordPress plugin? thats part of the problem any one can build a site now(no skill or knowledge needed now) , with the goal of compromising peoples privacy and security. and products and services they are researching. fact is people get distracted in life and need little reminders! the advertisers out there who do it well! I think that you are totally right. There are a few bad and inconsiderate players, but these are the tiny minority. The conversation around ads blocking has been largely led my the ad blocking companies for too long. There is obvious clear advantage to these firms if scare stories are spread and a manageable level of hysteria is achieved. I think that some players in that space have done this very well. Unfortunately the conversation has been one-sided. The IAB have done very little, networks like Google have stayed quiet and “paid the protection money” and the situation has worsened. Since I published this blog I think that the tone of conversation has changed a little. Mainstream media has spoken out and we’ve even had comment from AOL and Google. It feels a lot like too-little, too-late to me.